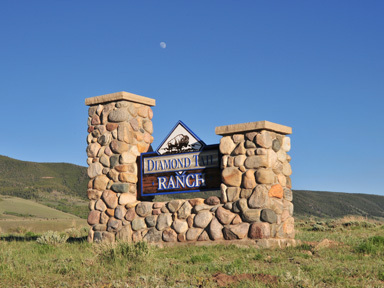 The Duncan family has owned the Diamond Tail Ranch since 1979. We initially began raising commercial cattle. The mountain winters, high production inputs and lack of market control soon forced a change. In 1986, Mike Duncan, the family’s managing partner, introduced Buffalo to the ranch. The advantages soon became clear and a switch was made. The ranch is located in a large mountain valley of Northern Colorado, 45 miles southwest of Laramie, Wyoming. Today our primary herds consist of Buffalo and Corriente. The ranch manager, Scott Butcher, handles all breeding herd operations and hay production. Scott has many years of experience with livestock handling, nutrition and health. We are a vertically integrated operation that places strong emphasis on producing the kind of livestock that our customers tell us they want. Our goal is to raise and sell animals that will return a fair profit to our customers.